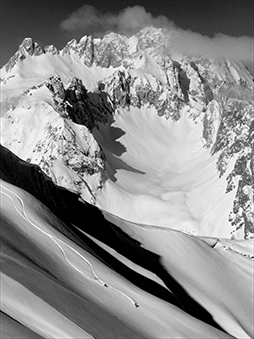 For the past 15 years, through our own team and partners, ARVA has played an important role in the development, production, and support of avalanche airbag systems. Studying and applying hundreds of actual accident reports, ARVA made the choice to innovate our own specific product in this field. After two years of research and development, ARVA is proud to present the one of the lightest, most functional, and reliable dual airbag systems on the market. What is an airbag backpack? The airbag system is a new standard in safety equipment, allowing a person to stay above an avalanche, and meant to be combined with use of a beacon, probe, and shovel. 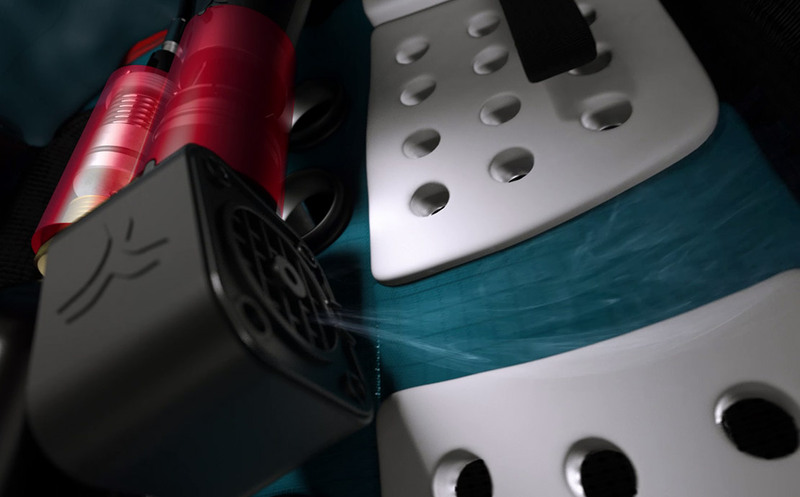 The principe use increases a victim’s volume by inflating an airbag around the backpack. The system is equipped with a simple lockable/rotating handle, when pulled for deployment, fills the airbag in just a few seconds. This airbag is brought to the surface of snow based on the physical phenomenon of “reverse segregation” which consists of pushing up lighter volumes among a multitude of moving particles. The inflation system has been designed to offer a compact and lightweight product (790g), while optimizing performance in real life situations. All these innovations have been the subject of 3 patent applications. 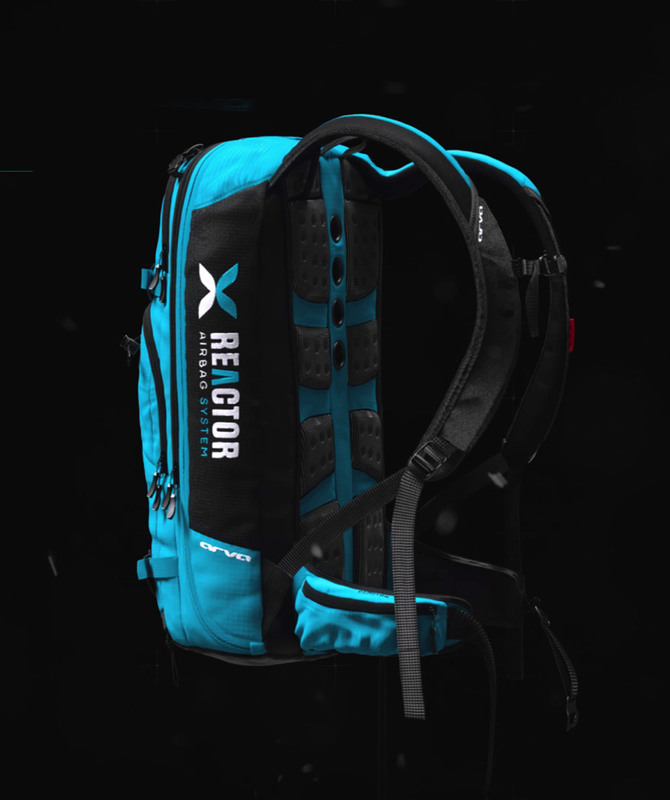 It is possible to detach the REACTOR system from the backpack and transfer it to another REACTOR compatible bag. The cylinders are made with high-quality materials and are designed to withstand over 300 bars (4351 psi) of internal pressure. The steel cylinders comply with Directive 2010/35/EU in Europe and with DOC/TC regulations in North America. The carbon cylinders comply with ISO 11119-3 standards. The cylinders are single-use and can only be refilled by ARVA. 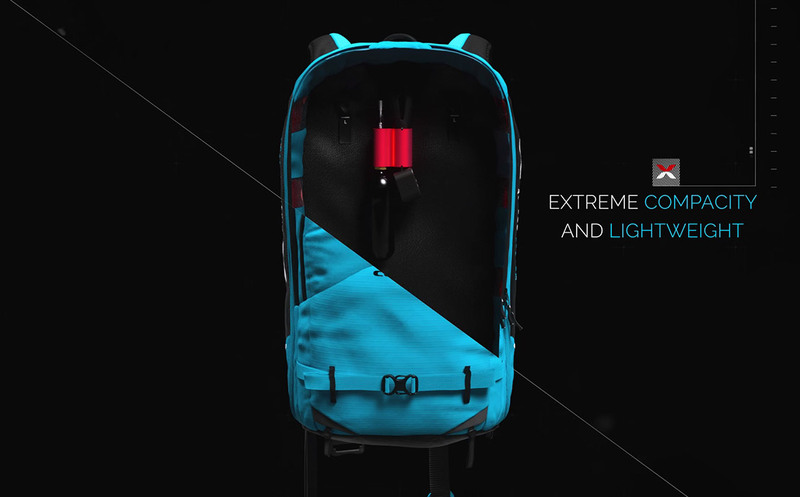 The range is made up of four different volumes of backpacks: 18, 24, 32 and 40 L,. Each size pack is customized for specific uses. The R18, light and compact, is dedicated to the minimalist or freerider. The R24 has a more storage volume while keeping compact, perfect for most day touring. With a more alpine style, the R32 is a great match forlonger touring, patroling or guiding. Finally, the R40 weighing 2.4 kg, or 5.3 lbs., equipped with a carbon cylinder, becomes a true option for overnight or extended trips, without compromising safety.